In the second instalment, connecting the dots between protests in London, two PR consultants, a project in Uganda, a printer on Koinange Street and Tatu City. One minute to 7pm, on Friday 24th July, 2015, two white men and a woman walked into Nakumatt Village Market. Leading the trio, a tall man sporting a balding head and missing a tie. Behind him the lady, in a dress and carrying a black bag. The second man wore a full suit and carried a black briefcase. They walked in a single file across the supermarket and turned left to Aisle 17. Then they walked to the far end of the aisle, stood for less than 35 seconds, and quickly left the supermarket. None of them bought anything. Three minutes later, a shopper asked an attendant what the green leaflet on the bottle of cooking oil she wanted to buy meant. He didn’t know, he said, but he asked his supervisor, who asked his manager. 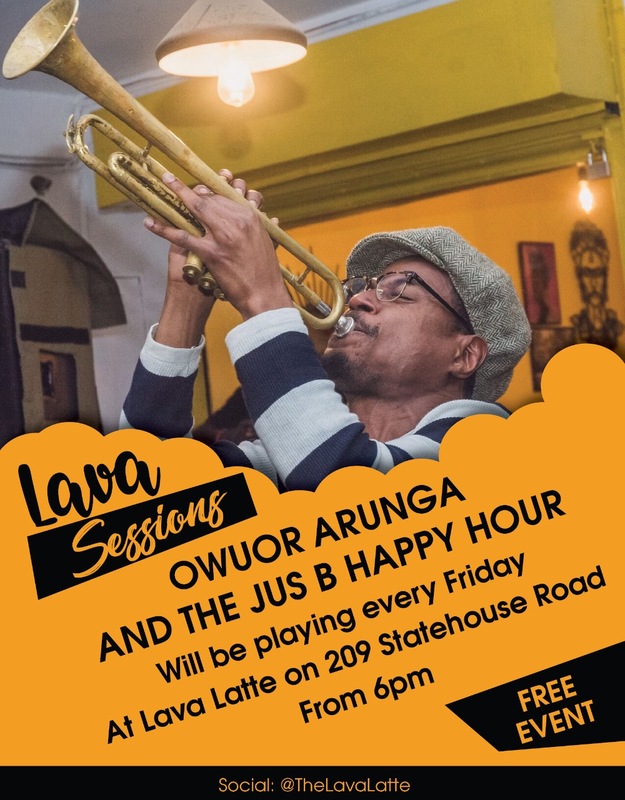 It was an important week on Limuru Road, where Village Market stands as the mall closest to a host of embassies, and the UN offices in Nairobi. The day after the short stop in an aisle in the supermarket, a conference called the GES Entrepreneurship Summit begun. An annual gathering of entrepreneurs, the US government-driven event brings together a host of business leaders and government officials in what is an elaborate two-day meeting. GES 2015 also marked the first visit by a sitting US president to Kenya. On the first day of the conference, the same leaflets that had appeared in the supermarket the night before appeared again, littering the floor of one of the main venues. To most of those who saw the leaflets, at the supermarket and at the Summit site, the details didn’t make much sense. 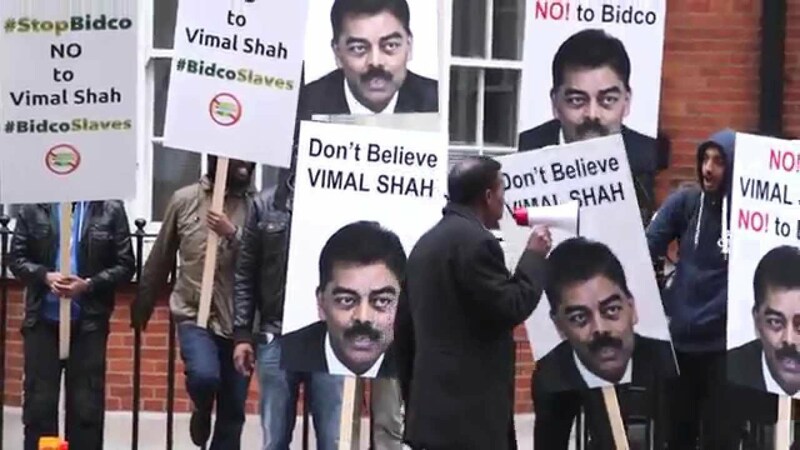 The leaflets themselves attacked Vimal Shah and Bidco on a palm oil production project in Uganda. Signed in 2004, the project brought more than 10, 000 hectares of land under palm oil production, driven by a USD 120 million investment by the Kenyan company. But the project, the leaflets argued, was nothing but environmental devastation. From the wording, it seemed that a rather aggressive-environmental group opposed to the oil palm project in Bugala Island, Kalangala District in Lake Victoria, had declared war on the edible oils manufacturer at the most important event in Kenya’s calendar in 2015. But in the year since, the threads between several stories have intertwined. In a later court filing, Vimal Shah identified the taller of the two men at the supermarket as Preston Mendenhall and the other as Artem Gurevich, Rendeavour’s Head of Corporate Affairs and Chief of Staff respectively. If this was true, it meant Tatu City and the many wars Bidco would face in the next year were related. Kenyatta’s Mercedes stuck in a patch of mud on a road crossing through Tatu Estate. Original Image Source Unknown. The Tribe Hotel is a luxury boutique hotel tucked next to Village Market on Limuru Road. It has four boardrooms, two big ones that can accommodate 20 people, and two smaller ones that can handle 6 people. In one of those smaller ones, as the Tatu City board sat on leather seats around a circular oak table on 28th January 2015, the true war for Tatu City begun. Stephen Jennings had never been in the Tatu City board, but Renaissance Group had three representatives on the board in September 2014. Two months later, two of them resigned and were replaced by Jennings and Frank Mosier, his American partner at Rendeavor. One of the men who resigned, Robert Reid, was tasked with devising the “path to zero” meaning, the roadmap to clearing the massive loan balance. The Tribe Hotel conference room then played host to the next meeting in late January 2015 where everything went downhill. The meeting was never properly closed so it was reconvened several days later via conference call. That too, ended in disarray over new agenda items. But a resolution quickly moved across, adding two new directors to the board, and firing Nahashon Nyagah and Lucas Omariba, the CEO. Nyagah went to court a few days later, freezing the decision and getting a court order for a loan audit in the process. A fight about a loan audit was just about to explode into a fight about everything. It had built on simmering tensions, and soon, would swallow more characters than it could handle. In notes sent to me by the Tatu City PR team after Part I of this story, “The identity of the lenders pales in comparison to spurious legal filings and the attempted theft of land by Kenyan shareholders.” The Kenyan partners, on the other side, argue that Jennings and Rendeavor want to push them out so they can sell quickly and exit the market. At the heart of it, the war for Tatu City isn’t even about the audit itself but who should do the audit. While both sides agree on the need for one, they differed on which of two audit firms, PriceWaterHouse Coopers or Ernst & Young, should do it. On one side, Stephen Jennings said at a forum in September 2015 that the majority shareholders “are also happy to appoint any major audit firm except PWC Kenya” because “PWC are the auditors of Bidcothe audit case is another crude shakedown attempt.” PWC eventually withdrew. Vimal and Nahashon, on the other hand, argue that Rendeavor’s choice of Ernst and Young is driven by a previous relationship at Renaissance. A screengrab of the last paragraph of Preston’s letter to IBM East Africa. Preston adds that he is writing the letter because “IBM, as a respected global institution, should be aware of Mr. Shah’s highly destructive activities regarding Tatu City.” It was an open declaration of war on reputations, and the first of several brazen ones from both sides. The $100million theft in Preston’s letter to IBM would appear in multiple court cases, and would be repeated by Stephen Jennings. In the story, Nahashon had transferred $100 million worth of land to several members of his family and staff. The other members of the board say, in court filings that that was the reason, not the January audit meeting that they had kicked him out. Nyagah says the transfers were above board, and had actually been facilitated by the real estate company itself for legal reasons. The claim triggered two separate criminal investigations, both which filed contradictory recommendations. By the second half of 2015, the war had became more brazen, and sucked in more people than it could handle. There were stories upon stories revolving and sometimes, avoiding how a loan audit would affect the ownership of Tatu City. Jennings repeated in several platforms that his Kenyan partners were using their networks to push him out; Nahashon and Vimal repeated, mostly in affidavits, that it was Jennings who was trying to get rid of them. In the former, the evidence provided was several claims of harassment by immigration officials, as well as the growing pile of court cases. In the latter, Nahashon Nyagah included a Rendeavor draft business plan prepared by Stephen Jennings and his partners in May 2014 in his court filings. In the document, Tatu City and Kofinaf owed a total of USD 77.1 million in December 2013. It also states, a few paragraphs later, that “Rendeavor has a policy of taking absolutely no third party loans against LandDiv’s land portfolio.” Stephen Jennings’ repeated this in several interviews. In one, published on the New Cities Foundation website, he responded “First, we don’t borrow. We essentially have no leverage in these projects” to a question on currency risk. If this was true, it meant Rendeavor itself loaned Tatu City the money, and so the real estate company was essentially unknowingly paying a loan to one of its owners. But it’s what the next paragraphs of the business plan say that is most telling. Rendevour, the document says, favors making loans to project companies because such loans can be used to discipline project partners “who engage in inefficient or hold-up type activity”, and that they can be “structured as a natural hedge against unexpected delays and other contingencies.” To work then, the work of the loan wasn’t just financial, it was a corporate equivalent of a Trojan horse. With the loan gag and declining power, Rendeavor could exert obedience from those it works with. It could slowly push them out by simply issuing capital calls to repay a loan to itself. Something similar had already happened to Nahashon in one of the holding companies registered in Mauritius, reducing his shareholding in Tatu City to a meagre 1.8 percent. Was this what was happening? His Kenyan partner, Vimal Shah, faced a whole different kind of war. At 2:03pm on Monday October 5, 2015, a PR consultant called Mike Omuodo hit send on an email to a network of journalists in Nairobi. Only one media house, Hope FM, included it in their bulletin that evening, and retracted it the next day. It was a press release about a protest thousands of kilometers away. That morning, 15 men had gathered early opposite Claridge’s Hotel in Mayfair, London. It was the first day of The Financial Times Africa Summit-a global meeting on African business and economics. Vimal was scheduled to speak on a panel titled “The West versus the Rest” but had cancelled two weeks before. Outside the protestors held up placards and started chanting about Bidco, its CEO, and its Ugandan operations. A man with a balding head and holding a loudspeaker paced up and down, leading the charge. On the placards, a single vowel switch created brilliant word play, calling the company “Badco.” The same word had appeared on the July leaflets and on a shortlived website. Less than a year later, on August 24, 2016, a second protest led by the same man was staged outside the Barclays Bank and Standard Chartered. The structure was different this time, and each of the protesters got a chance to speak. One man called it “a fire starter” saying that they wouldn’t stop until the banks stopped doing business with the Kenyan company. Each speaker urged the banks to “drop clients that destroy the environment.” Bidco soon found itself fending off claims of worker mistreatment, tax evasion and a litany of other crimes on its Kenyan and Ugandan operations. Although a lot of the language in the release was revealing, the clearest link between the Tatu City story and the Bidco Truth Coalition group was in something even less prominent. In the course of working on this story, Mike Omuodo got in touch as ” a PR consultant working with Hill + Knolwton Strategies. Tatu City is Hill + Knolwton Strategies client, which I manage.” Hill+Knowlton is an international PR consultancy with a Nairobi office on Riverside Drive. Omuodo currently works as the Media Director at the PR firm. While his initial contact had been about Tatu’s right of reply to this piece, I added questions on his personal involvement with the press release. It had originated from his personal email, and at least two journalists who received it confirmed they considered it legitimate because of that. At the time of publishing, Mike Omuodo had not replied to a list of questions on his personal or professional involvement in the October 2015 protest but for the statement “I’ve never acted in personal capacity for Tatu.” But then later, he sent an MsWord copy of Part I of “The War on Tatu City” with comments; a transcript of a speech Stephen Jennings gave at the Nairobi Museum in September 2015; and the threat of litigation. A second thread, perhaps even more revealing, also came up accidentally. Bidco Truth Coalition had clearly been busy since 2015. They had staged protests in London, distributed leaflets at a highly secure event, and launched two websites and a network of social media accounts. Several popular Kenyan personalities online leaked email screenshots of the Ugandan project. The emails, sent by a “Robert Robert” asked them to tweet on Bidco’s transgressions in Uganda, and provided links to several documents. The edible oils company later leaked an audio of a wiretap where a blogger and a radio show host bargained for a 50 million shillings bribe to go quiet. To understand Bidco Truth Coalition, I emailed a Ugandan environmental group called the National Association of Professional Environmentalists (NAPE). I’d found several news stories on BTC outlining its partners, and NAPE stood out. The response from the Ugandan group directed me to a Kenyan communications consultant called Michael Otieno, a former Managing Director of Hill+Knowlton. In his responses, Otieno described BTC as a group of 30 smallholder farmers led by a man called John Muyiisa. The group, he told me, is officially registered in Uganda and has several grievances, the main ones being “land grabbing, deprivation of livelihoods, threats and deforestation.” I couldn’t independently confirm this. Although I couldn’t get in touch with Muyiisa, I found several stories with his name. From a press release by a man called Horatius Sempa, Muyiisa was a squatter on his 429.0 acres in Bugala Island. Sempa said that when he wanted to lease the land to the Bidco project, Muyiisa wanted to be left with 40 more acres than the 7.5 acres he had already been allocated. Muyiisa eventually sued Sempa, and the case is still ongoing. On the London protests, Otieno told me that they were organized by “sympathisers in the UK” because “Bidco is loathed by numerous groups.” The choice of location, especially the banks, was because the Kenyan company works with these banks. In the course of researching this story, I’d bumped into something else. At an event titled #TatuTrueTalk at the Nairobi Museum in September 2015, the Master of Ceremonies had been a man called Michael Otieno. When I asked whether he did this as Bidco Truth Coalition representative, Otieno told me that “I MC at corporate events from time to time. I was representing myself.” He denied any connection between BTC and the Village Market leaflets, Tatu City and Tatu City’s lawyers. When he took to the stage at the September 2015, Stephen Jennings described himself as a victim of local corruption networks. Local powers were sabotaging international investors, and that wasn’t good for Kenya, he said. To him, his Kenyan partners at Tatu were the reason why the project had stalled. They wanted to steal land without having invested financially in the project. Nahashon had brought nothing to the project, and wanted land and power. Stephen Jennings said that Vimal Shah was giving Nahashon Nyagah “a cloak of legitimacy to commit what is probably the largest corporate theft in Kenya’s history.” They were doing this, he said, through the Kenyan court system. In August 2016, two banks in London found themselves playing host to a group of protestors against Bidco. A month later, a smaller group appeared in New York, unsuccessfully trying to stage a small protest outside the United Nations headquarters. In court, the cases piled up, and dragged on.? As the chopper landed back at Wilson Airport later that day in early 2009, everyone was excited. There was a sense of camaraderie, a unity of purpose in bringing together a massive unprecedented project. If they succeeded, there would be a 2,500-acre satellite city just 30kms northeast of Nairobi. It would a utopia of sorts, home to 80, 000 residents who wouldn’t need to leave its walls to access anything. It would be a massive undertaking but among them, it looked more possible than it had before the helicopter had left the ground. But in a year, they would be at war. In six years, all gloves would be off. Everything would be fair game.